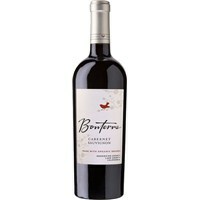 This Cabernet offers aromas of bright cherry, currant, and raspberry with notes of toasted oak and vanilla. In the glass, you will find flavors of cherry and currant and a lingering and thoughtful finish. Good structure, a moderate weight, polished tannins and a balanced acidity promise an ever more pleasing wine to come.